Through the labyrinth, Dorothy returns to Oz. Again not through her own means, Dorothy returns this time by being drawn into a maze of paths. She begins in the center, at a crossroads, of many paths and must find the path that is correct for her to travel. Along the way she meets many extremes, examples of polar opposites, paradoxes, which she must reconcile for herself in order to proceed. In order to proceed, Dorothy experiences inflated and infantile creatures which she must reconcile. Dorothy also finds that the desire to be good can get in the way of the path. Sometimes the desire to love and be loved causes us to make mistakes, to mispercieve. In order to help ourselves and others, we must be true to ourselves and others. We must be able to be our true selves and we must not make others into what we wish they were but to see things how they are. She begins in the center hub of many pathways, like spokes on a wheel, but is actually far from the center where she desires to be. This is a story of traveling from a center of confusion to a center of spirit, and thus Dorothy is travelling to Oz through the element of Spirit, of center. and love causes all kinds of misprision, mistaken judgments of value and identity. these extremes are distractions on the path, but even distractions have purpose and meaning. distractions from the path are what make a journey interesting, after all. When I travel, it's the road-side attractions that I remember, not the road itself. shaggy = tatter coat / rag coat ~ morris dancers? Even when shaggy man is given a new outfit it is a representation of himself, not an attempt to hide his identity, but to show that self in a new light. 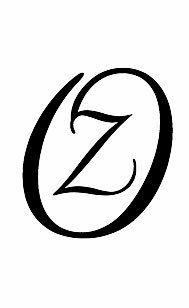 Oz, unlike all the previous adventure in this book is not about appearing to be something that we are not, but in enhancing and supporting our true selves. everyone wants to be invited to Ozma's party, everyone wants to be loved. the many spoked road, center but also labyrinth. introduces the magical work of being lost and a-mazed. "To the crossroads I must go, to find a world unseen."